A slow-paced, almost old-fashioned story with a conventional romance set against somewhat unconventional circumstances. This isn't your ordinary secret baby story. A slow-paced, almost old-fashioned story with a conventional romance set against somewhat unconventional circumstances. This isn’t your ordinary secret baby story. This review is part of the AWW2012 Reading and Reviewing Challenge. 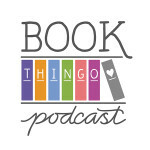 Click here for a list of books I’ve read so far. I seem to be on a category romance reading kick lately, and for some reason I’ve been picking up the sweeter lines. Award-winning Australian romance novelist Barbara Hannay’s story about a heroine agreeing to be a surrogate mum to twin babies caught my eye, primarily because ever since I had twins, I’ve been very interested in the way twin pregnancy and birth are represented in romance fiction. Ever since Mattie Carey was dumped via text message by her long-distance fiance, she hasn’t had any meaningful relationships with men. So when her best friend, Gina, loses her ability to carry a baby, Mattie offers to be a surrogate. To prevent awkward questions in her small country town, Mattie goes to stay in Gina’s brother Will’s apartment in Sydney, but when she gets there she finds a temporary guest already there. Jake, Will’s best friend, is on a short break from work as a environmental scientist with a mining company in Mongolia. Although Mattie tries to keep her distance from Jake, he’s pretty hot, not to mention a decent person, and they end up sleeping with each other on his last night in Sydney. They keep in touch via email until one day Mattie stops replying, and the first chance he gets Jake pays her a visit to make sure she’s okay. What he discovers is that she’s pregnant. Again, I need to confess that Sweet isn’t my favourite category line. Its typical narrative style is a little too slow and somewhat old-fashioned for me. Hannay also relies on stereotypes around women and their need for babies and family, and skirts perilously close to a heroine with a martyr complex. I also didn’t believe in the depth of emotion that Mattie and Jake supposedly have for each other—the emotions in the story just didn’t reach those highs for me. Jake’s past trauma around his mother’s post-partum depression, while important as a source of conflict, felt tacked on and required a lot of info dumping. I think this story could have been longer. I would have enjoyed seeing ‘Saint Matilda’ coping with the highs and lows of pregnancy hormones and the discomfort of carrying twins, especially in the last trimester. Hannay might also have explored more deeply how Mattie copes with having to hand over the twins to Gina and her husband. As a potential source of conflict, I think that would have been much more interesting than Jake’s fear of childbirth. No doubt thousands of e-mail exchanges ended when one person fell silent. No doubt the world was filled with thousands of broken hearts. The pregnancy itself felt like it went by very quickly and, for what it’s worth, I found Hannay’s description of Mattie feeling disconnected when she’s about to have a Caesarian believable in the way it portrays how a woman might feel when her birth experience requires quick medical interventions. My favourite part of the story is when Jake arrives at the operating theatre just as Mattie is about to have the C-section, and the doctor asks him who he is. Jakes tells him, ‘”I’m…I’m the surrogate father. '” Definitely hero material. 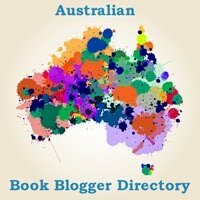 Tagged 2009 releases, australian authors, australian characters, australian romance, barbara hannay. I haven’t read Barbara Hannay before. I might have to give this a go!